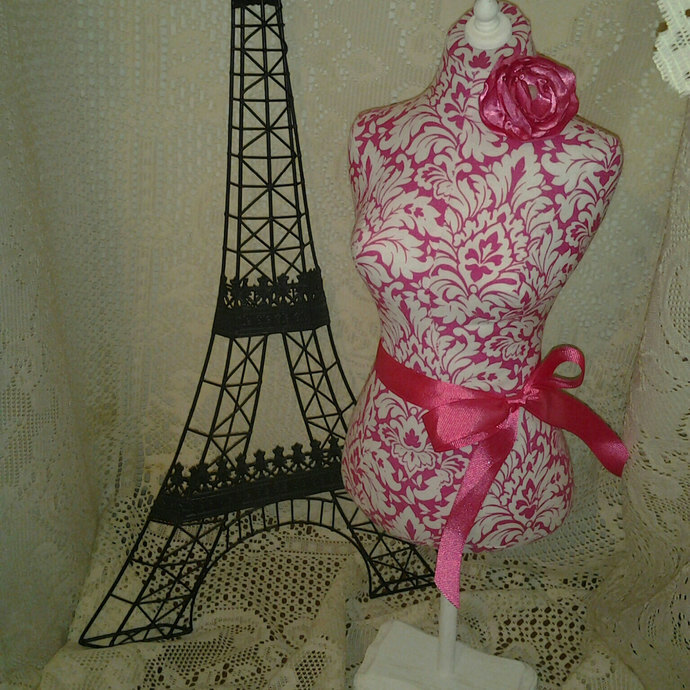 Vintage inspired, boutique dress form display with stand inspired by Pottery Barn. Great attention getters, both as boutique displays and bedroom decor. 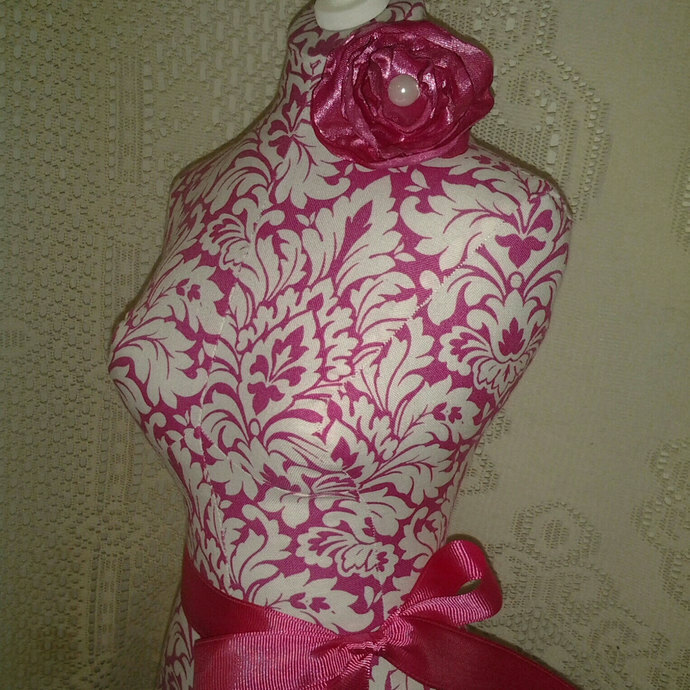 19" torso designs available in modern and vintage prints, please choose accent color for rose and ribbon. These eye-catching figures are stunners as window displays for antique stores with vintage jewelry and/or lace shawls.Solid wood pedestal stand available in white, black, and oatmeal. PAYPAL FINANCING -No payments + No interest if paid in full in 6 months on purchase of $99 or more through "BILL ME LATER"... Check out with Paypal and choose BILL ME LATER to get your purchase quickly and have 6 months to pay. CREDIT AND DEBIT CARD CUSTOMERS - There is no need for a PayPal account to pay for your items through PayPal. Just choose the PayPal option during checkout. After you submit your order, click on the "pay now" button. Scroll down and you will see the option to pay with credit or debit card without having to sign up for a PayPal account. More dress form styles in modern and vintage prints. Please contact me if you have any questions or special requests. Follow me on Twitter @reminiscejewel. Jewelry Designer special request full size dress form, stand and shipping cost.